Join us for the Trip of a Lifetime! Are you ready to reserve your heli-ski holiday at Crescent Spur? Start by filling out the form below and we’ll be back to you shortly to confirm details. Should you have any questions—or problems with the form—just call, and we’ll happily help you reserve your vacation, over the phone. A non-refundable deposit is required for each space reserved. The Semi-Private Package deposit is $2,000CND plus tax, per-person. The Private Package deposit is $20,000CND plus tax, per group. We accept bank transfer, VISA, MasterCard and cheque (Canada/USA only). We offer, and strongly recommend, Trip Cancellation insurance at time of deposit. Your balance of payment is due 16 weeks prior to arrival. We will send you a reminder 4 weeks prior to the due date—please allow 2 weeks for postal time, as your reservation cannot be confirmed until we’ve received final payment. Payments not received by the due date will result in the cancellation of your booking. As with your deposit, we accept bank transfer, VISA, MasterCard, and cheque (Canada/USA only), as forms of payment. Please identify all payments with your name, address, and tour number. You are welcome to pay in US funds—we will simply credit you with the exchange rate we receive, upon deposit of your payment into our account. 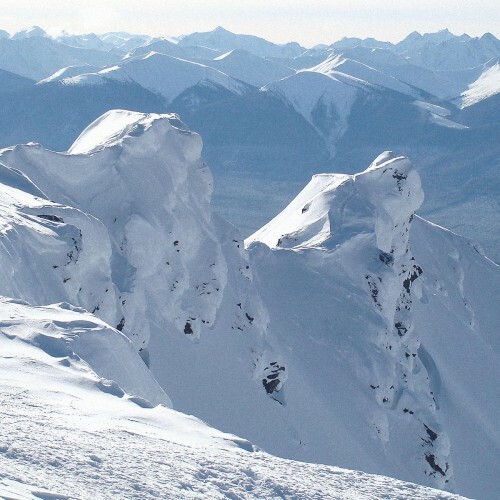 We set the price of ski packages in the spring, before fuel and helicopter costs for the upcoming season are determined. As such, we may add a fuel/helicopter surcharge to your package price, should fuel and/or helicopter lease expenses exceed our projected costs. Certain incidentals, services, and other costs, are not included in your package price. These include: flights, massage services, liquor, gratuities, retail purchases, extra vertical, non-scheduled transfers, and emergency medical evacuation. We recommend you purchase insurance, in case of unforeseen circumstances or an emergency situation. If your group books 10 or more spaces in a Semi-Private Packages, you’ll be eligible for a discount. (Private Group packages already have this discount built into their price.) For both types of packages, the Group Leader must: Ensure that all of the participants are aware of our policies; Distribute our Release of Liability form to each participant who’s placed a deposit; Collect the deposit from each participant, and remit to us in one payment; Collect the final payment from each participant, and remit to us in one payment; And, ensure all payments meet the deadline dates. Read more information about Group Bookings. Many Crescent Spur guests return year after year. 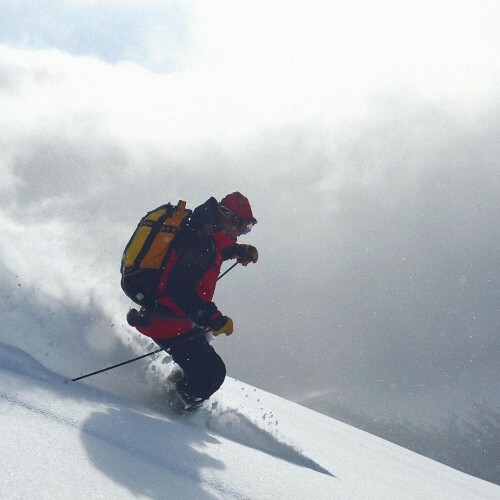 As a token of our appreciation, we thank such guests on key anniversaries, with the following: 5 trips: An Arc’teryx Epsilon AR jacket; 10 trips: An Arc’teryx Ski Jacket & Pants; 15 trips: An Arc’teryx Atom Jacket; 20 trips: A free week of heliskiing with us! We reserve the right to cancel any package at any time. In the event of such cancellation, we will provide a full refund on the sum you’ve already paid for your heliski vacation. On cancellations made prior to 16 weeks from your arrival date, payment minus deposit will be refunded. We do not offer refunds on cancellations made within 16 weeks of arrival date. We strongly recommend the purchase of cancellation insurance. For your convenience, we offer Trip Cancellation and Emergency Medical/Evacuation Insurance as a package add-on. Alternately, you can purchase this sort of coverage through your travel agent. We offer Cancellation Insurance; but this insurance doesn’t cover all potential scenarios. Please be aware of what situations this insurance does and does not cover. Additionally, we offer Medical and Emergency Evacuation insurance. Insurance is sold in addition to the package price, and made available at the time of final payment. Cancellation insurance is also offered at time of deposit. You may decline insurance at your own risk; however, without coverage, absolutely no refunds will be issued—even if you’re unable to attend, or your trip is interrupted due to injury. Uninsured parties are also responsible for their own emergency/evacuation costs. Refunds are available to those who miss their vertical minimum guarantee, due to weather conditions or mechanical breakdowns. These refunds are calculated at a rate of $40 per 1,000 vertical feet. We do not refund for days not skied, nor do we refund for un-skied footage, due to lack of fitness/ability, or if you choose to end your ski day early. When we speak of vertical feet, we’re referring to the distance from the top of a run to the bottom. This is the traditional metric for tabulating how much you ski in a run, day, or week. Our packages come with a set amount of vertical: 5 Day packages include 80,000 vertical feet; 6 Day packages include 100,000 vertical feet. 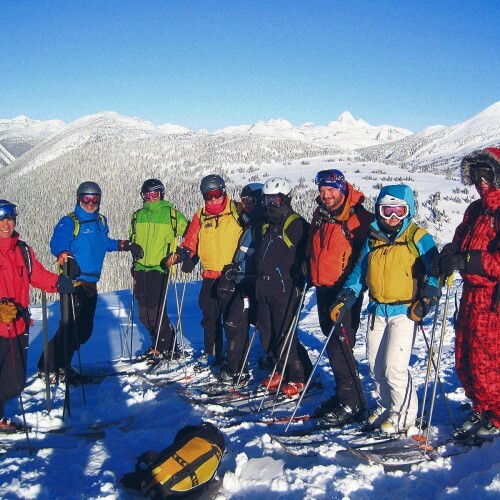 Longer days in during the mid–late season do sometimes result in skiers exceeding their set vertical. If you’re nearing your package limit, our guides will let you know. At that point, you can determine if you wish to continue skiing and incur the associated extra vertical costs. Please note that a minimum number of skiers per group are required for extra vertical. The per-person charge for extra vertical is $40 CAD, per 1,000 vertical feet. Crescent Spur’s liquor license requires us to operate under certain regulations. Therefore, we request that all liquor consumed in the living, dining, and bar area be purchased through our liquor license. Specialty wine and spirits can also be ordered with sufficient advance notice.For those wishing to bring/consume their own wine at dinner, a corkage fee will be charged.